Corsynth are a Spanish manufacturer of 5U Moog Format synthesizer modules, building vintage voiced circuits with a modern twist and a personality all of their own. 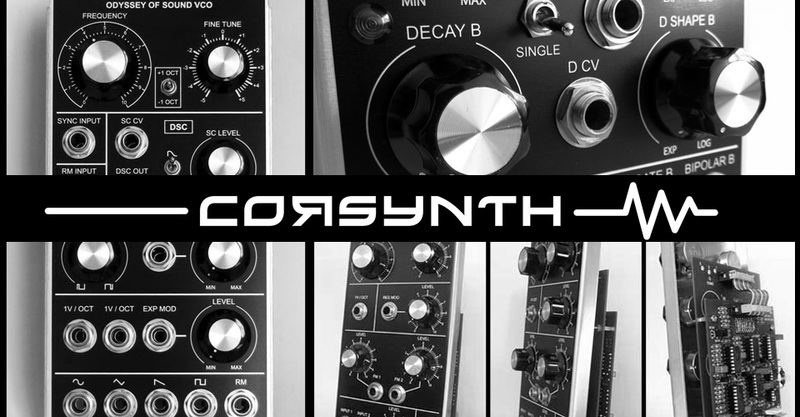 A well known name in the 5U synthesizer domain, Corsynth have been producing MU format modules of many years and have perfected their craft. The Corsynth range is incredibly comprehensive and covers everything from VCOs, VCFs and power solutions to more complex VCA mixers and much more. The build quality of Corsynth modules is always of the highest importance, which is why they use high quality components throughout, Switchcraft jacks, NKK switches, Cosmo knobs, with black anodized aluminium front panels giving the authentic MU feel with consistent quality and performance. For more information regarding Corsynth modules and 5U format synthesizers, contact our synthesizer specialist Tom Lewis.